Chairman of the Classic Yacht Charitable Trust John Street and boat Builder Wayne Olsen visited Sydney in August 2018 to inspect Ida, a 1895 Bailey gaff rigged cutter. Ida was for sale as the current owners Jerry Brookman and Catherine Shirley had reached a point where, due to Jerry's ill health, they were unable to complete the planned deck restoration nor maintain her to the standard they previously took pride in. Jerry and Catherine had owned Ida for 20 years, the first 10 years of which they raced her in the classic yacht races on Sydney Harbour with the Sydney Amateur Sailing Club at Mosman Bay and the Balmain Sailing Club, where she won hands down. Wayne Olsen's assessment was that, while the hull appears sound, being triple skinned kauri, it is unclear what will be found once the inner layer is pealed back. She is in poor condition with much of the rest of the boat needing replacement. A previous owner to Jerry and Catherine had applied a fibreglass skin to the deck which had cracked and allowed rot to set in. John is in the process of arranging shipment back to New Zealand where she will be moved to Horizon Boats shed in Stillwater where a full restoration will be completed by Wayne. We look forward to having this sleek low wooded vessel out on the Waitemata next year. The Logans’ Moana had the Britannia “spoon” bow and the powerful forward sections that went with it. She was a truly modern yacht, with a shape that was still essentially very competitive until the 1940s. So there were now three new thoroughly modern 5 raters on the Waitemata for the 1895-96 season. Anticipation ran high on the Auckland waterfront for their first clash at the Judge’s Bay Regatta on 25th January 1896. On the day there were excellent conditions with a steady SW breeze. The entrants in the “Yachts 7-rating and under race” were Thetis, Ida, Moana, Halcyon, Aorere and Rangatira. Charles Bailey, probably to best helmsman on the harbour, sailed Ida, W.R. “Willie” Wilson sailed Moana and Reg Masefield Thetis. The reaching conditions suited Thetis which took an early lead and was never headed. Moana lost several minutes when she lost her throat halyards while Ida had the same thing happen later in the race. The result, Thetis 1, Ida 2, Moana 3. 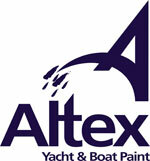 Their next contest was six days later in the Auckland Anniversary Regatta on 29th January in light winds. Moana led for most of the race and finished first, ahead of Ida by12½ minutes. Thetis got to the start late and finished well back. Moana was reckoned to be “the best boat of the season in her class” and maintained that reputation ever after. Indeed Ida was fated to be always under the shadow of Moana. What successes she did have were thanks to handicappers, typically 3 minutes over Moana. Despite intense Bailey modifications and occasional flashes, she was a disappointment to her owners. Indeed, in October 1897 the Jaggers switched allegiances and had Logan Bros build them the 60ft ten rater Thelma. It took another two years for them to sell Ida during which she was laid up or leased out. 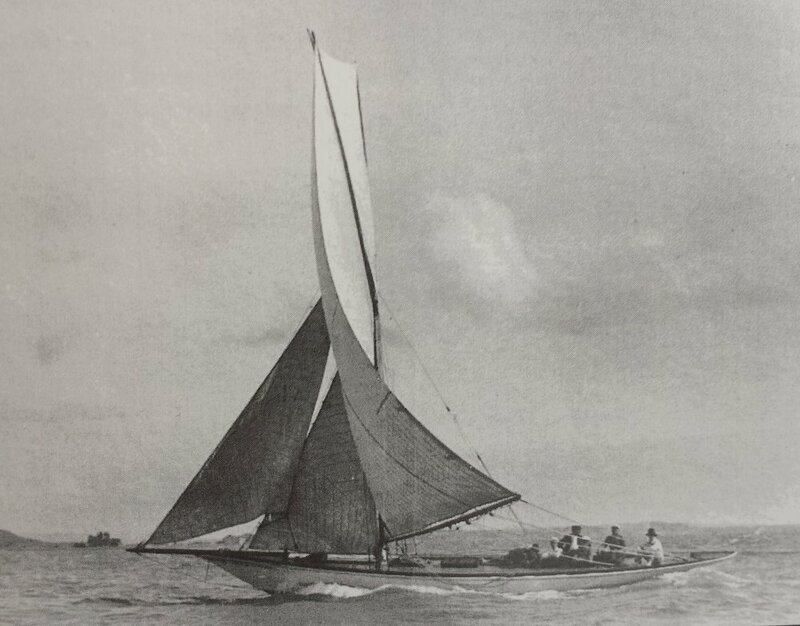 In November 1898, Logan Bros had launched Rainbow which eclipsed immediately all other New Zealand yachts of her class like Ida. Finally, in December 1899, C.P. Murdoch bought her. C. P. Murdoch was a Scots yachtsman who had gained a sound reputation, with his good friend Capt. A.J. S. Gibbs, in the early crack Spray in Dunedin and Auckland and then with Zinita, an 1894-5 season 2½ rater built by C. & W. Bailey to beat Gloriana, unsuccessfully. The 1895-6 season had produced three Logan 2½ rater challengers, Mahaki and Mizpah from Logan Bros and Rarere from Robert Logan Sr. Mahaki was invincible from the start. Zinita appeared to be eclipsed like earlier Bailey offerings. Murdoch bought her in the winter of 1897 and tweaked her hard to compete with the annual waves of Bailey and Logan raters. Murdoch had some good wins with Zinita until he part-exchanged her with the Jaggers for Ida. The Jaggers found a ready sale for Zinita in Sydney where Auckland-built raters were eagerly sought after. She created immediate surprise with her good performance and got a good second in the Royal Prince Alfred 100 guinea Hordern Cup in January 1900. Encouraged by his success in making Zinita competitive, Murdoch now set to work getting Ida to go. He took the NSSC Dunning Cup and the Parnell Sailing Club Jagger Cup in his first season with her. By the beginning of the 1900-01 season the Herald reported that she had “greatly improved in sailing powers”. 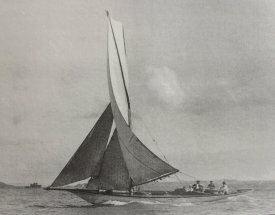 In December 1900, in a howling northeaster, Murdoch had a well-deserved victory in the Open Race at the Ponsonby Regatta.